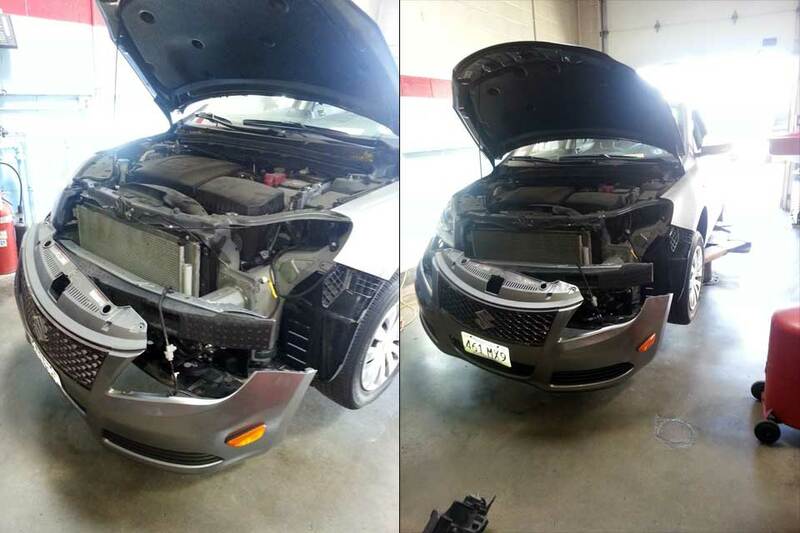 Headlight repair.. sounds quick and easy. A simple headlight bulb is not so simple these days. This Suzuki, like many modern cars needs to have the front bumper removed to change the headlight bulbs. Leo & Sons has the experience to get your headlights shining bright!